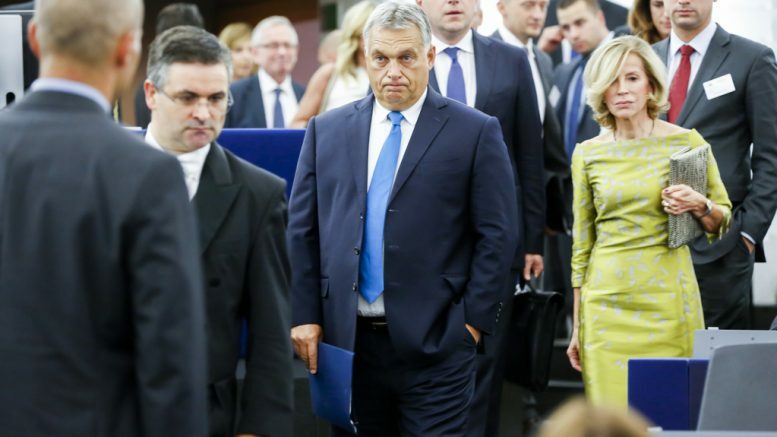 Following a vote in the European People’s Party (EPP) assembly this Wednesday, the membership of Hungarian party Fidesz has been suspended “with immediate effect” and “until further notice”. Fidesz has signed a “joint proposal” together with the EPP presidency with the conditions to get back to the European conservative family. Fidesz leader and Hungary’s prime minister, Viktor Orbán, has equaled Muslims with terrorists in the past and has warned of a supposed “invasion” of refugees or Muslim migrants to Hungary. This, despite the fact that when the refugee crisis broke out, people who passed through the Magyar country before its Government erected fences in the middle of the European Union, in reality they were only passing through, on the way to a safer destination, like Germany. Press freedom has been seriously jeopardized in Hungary, after the mainstream media have been taken by magnates and people related to the Hungarian Government, as Salam Plan detailed in this information. NGOs have also been the target of raids and Fidesz has been gaining strength as the former conservative party retrained into the new far right, even more radical than what until recently was the extreme right of the country, Jobbik, today second party most voted there. Following the request of 13 members parties, the European People’s Party voted to suspend Fidesz “until further notice”. There were 190 votes in favour of the suspension; only 3 against. The suspension entails that Fidesz will no longer be present at any party meeting, nor have speaking time, nor voting rights, nor the right to propose candidates for posts. An Evaluation Committee will be monitoring Fidesz’s implementation of the conditions agreed. The body will be chaired by former president of the European Council and former prime minister of Belgium, Herman Van Rompuy and composed of former European Parliament President Hans-Gert Pöttering (Germany) and former chancellor Wolfgang Schüssel (Austria). They will present their report to the EPP Presidency “in due course”, an EPP press statement reads.